This Russian Revolution who’s who contains brief biographical summaries of significant tsars, tsarists and others associated with the old regime. 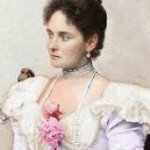 These profiles have been written by Alpha History authors. 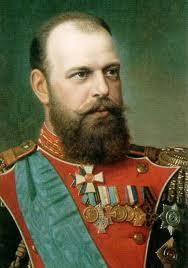 Alexander III (1845-1894) was the father of Nicholas II and the second-last Romanov tsar of Russia. The young Alexander grew to be the epitome of a strong autocratic tsar: he was loud, masculine, physically imposing and often short-tempered. He was also dismissive of liberal and reformist ideas – a perspective strengthened by the bloody assassination of his liberal-minded father, Alexander II, at the hands of populist revolutionaries. 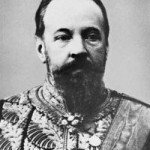 Alexander ascended to the throne in 1881 determined to crush revolutionary movements, to restore the iron grip of tsarist autocracy and to ‘make Russia Russian’. During his 13-year rule, he expanded and strengthened the secret police (Okhrana) and imposed Russian language, culture and religion on peoples across the empire. This policy of ‘Russification’ made him enormously unpopular – but he also had the advantage of being greatly feared, both by those he ruled and those in his inner circle. 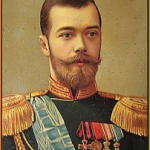 The tsar died in 1894 and the crown passed to his son, Nicholas, who Alexander had privately believed was unsuited for leadership. 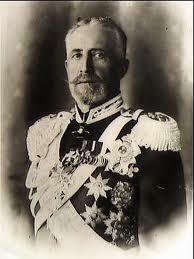 Sergei Alexandrovich (1857-1905) was a Romanov grand duke and an uncle and brother-in-law of Tsar Nicholas II. 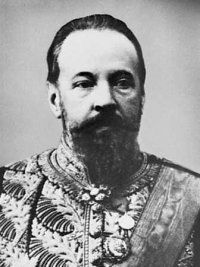 In 1891 Alexandrovich was appointed governor-general of Moscow, which he ruled with a mix of oppression, charitable works and urban improvements. In February 1905, weeks after ‘Bloody Sunday’, Alexandrovich was assassinated by radical SRs, literally blown to pieces when a bomb was tossed on his lap. 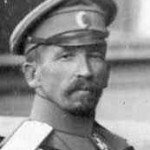 Anton Denikin (1872-1947) was a general in the tsarist Imperial Army and, later, an important White commander during the Civil War. Like General Kornilov, who he supported, Denikin was born to peasant stock but rose through army ranks. In 1919 he led a failed attempt to recapture Moscow from the Bolsheviks – as well as instigating anti-Semitic pogroms and campaigns of ‘White Terror’ that claimed thousands of lives. He fled Russia in 1920 and spent the rest of his life in France and the United States. Fyodor Dubasov (1845-1912) was a tsarist naval officer known for his violent suppression of urban and peasant uprisings. In 1905 Dubasov was appointed governor-general of Moscow, which was gripped by unrest and insurrection. Dubasov moved armed troops and artillery into the city and ordered them to fire on large mobs, killing hundreds. He became a hated figure and a target of assassins, who almost claimed his life in 1906. 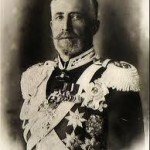 Alexander Kolchak (1874-1920) was a Russian admiral, most notably the commander of the Tsar’s Black Sea Fleet during World War I. Kolchak later became the titular ‘supreme commander’ of the White Armies, though in reality, he was unable to coordinate their efforts. He was captured, tried and executed during the Russian Civil War. 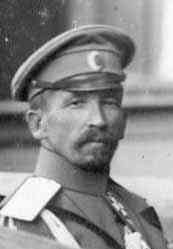 Lavr Kornilov (1870-1918) was a leading general in the tsarist Imperial Army, best known for conspiring against the Kerensky government in August 1917. Born into a Cossack family in what is now Kazakhstan, Kornilov entered the military at age 15 and proved himself an excellent soldier, both on the battlefield and in positions of responsibility. He worked his way up through the ranks and by the outbreak of World War I was a major-general. Politically, Kornilov was conservative, nationalist and bitterly opposed to socialism. He lost faith in both the tsarist and Provisional Governments because both had shown themselves incapable of managing the war effort and crushing radicalism. In August 1917 Kornilov made arrangements to move troops into Petrograd to seize control and restore order in the capital; this imposition of martial law, he claimed, had been authorised by Kerensky. Kornilov was subsequently arrested and detained, before escaping and taking the helm of a White Army regiment in the first months of the Russian Civil War. He was killed by Bolshevik artillery in southern Russia. Nicholas Nikolaevich (1856-1929) was a grand duke of the Russian nobility, a first cousin to Tsar Nicholas II and, until 1915, commander-in-chief of the Russian army. He entered the military as a teenager and within years had seen action in the Russo-Turkish War (1877-78). Later he became a military trainer and inspector, tough and authoritarian but fair enough to earn the respect of the men he commanded. 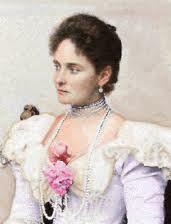 According to an apocryphal legend, in 1905 Nikolaevich refused the tsar’s order to take command of the military and crush the growing rebellion. In 1914 Nikolaevich put in charge of Russian forces on the Western Front, despite having no experience at combat command. His leadership was not disastrous but nor was it talented or adaptive enough to overcome the enormous structural problems in the Russian army. In September 1915 the tsar replaced him as battlefield commander. Nikolaevich served out the way in safe postings. After the Bolshevik revolution, he fielded requested to join the White movement but continually resisted these overtures. Vyacheslav von Plehve (1846-1904) was a tsarist minister and police chief who oversaw the expansion of the Okhrana in the 1880s. Loyal to tsarism, Plehve was the individual held most responsible for the brutal repression of revolutionary groups under Alexander III. He was assassinated in St Petersburg, a bomb hurled into his carriage by SR agents. Konstantin Pobedonostsev (1827-1907) was an ultra-conservative Russian politician, an administrator of the Russian Orthodox Church and influential advisor to Alexander III. He was known for his hatred of democracy, his intense anti-Semitism and his enforcement of autocracy. 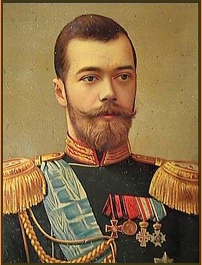 He played an important role in shaping and reinforcing the traditionist views of the young Nicholas II. Alexander Protopopov (1866-1918) was a conservative politician, a member of the Octobrist Party and a deputy in the third and fourth Dumas. 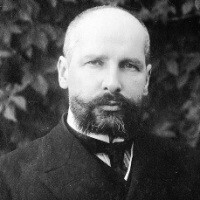 A fervent supporter of the tsar and his autocracy, Protopopov was both a friend of Rasputin and a favourite of the Tsarina, who pushed for his appointment as interior minister in September 1916. 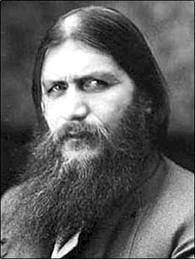 He was arrested after the February Revolution and later executed by the Bolsheviks. Alexei Romanov (1904-1918) was the only son of Nicholas II and Alexandra and the tsarevich (heir apparent) to the Russian throne. Alexei, a shy and humble boy, suffered from haemophilia, a genetic blood disorder he inherited from his mother. 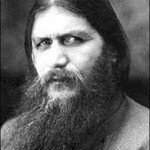 His painful bleeding episodes prompted his mother to seek the counsel of Rasputin. Alexei was shot by Bolshevik agents in Ekaterinburg, three weeks before his 14th birthday. 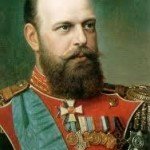 J. Llewellyn et al, “Russian Revolution who’s who – tsarists” at Alpha History, https://alphahistory.com/russianrevolution/russian-revolution-whos-who-tsarists/, 2018, accessed [date of last access].